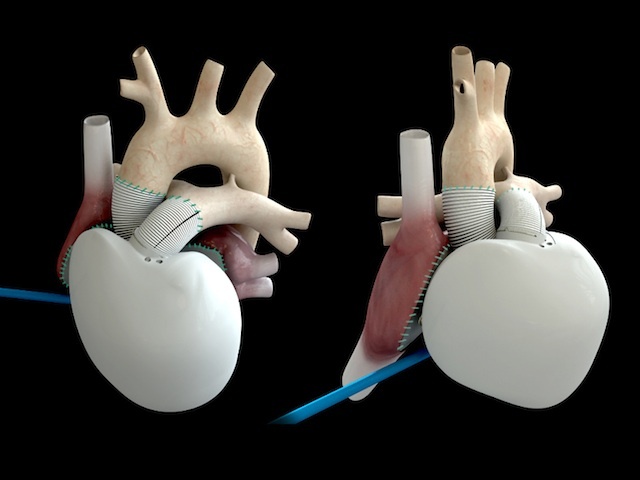 For the first time, an artificial heart that may give patients up to five years of extra life has been successfully implanted in a 75-year-old French man. The heart that was put into the patient at Georges Pompidou Hospital in Paris uses a range of "bio-materials", including bovine tissue, to reduce the likelihood of the body rejecting it, 'The Telegraph' reported. Doctors said the patient who received the device developed by Dutch-based European Aeronautic Defence and Space Company (EADS) was awake and responding well after the operation. "We are delighted with this first implant, although it is premature to draw conclusions given that a single implant has been performed and that we are in the early post-operative phase," Marcello Conviti, the chief executive of Carmat, said. The heart weighs as little as less than a kilogramme ? almost three times as much as an average healthy human heart. The device mimics heart muscle contractions and contains sensors that adapt the blood flow to the patient's moves, the report said. The heart surfaces that come into contact with human blood are made partly from bovine tissue instead of synthetic materials such as plastic, which can cause blood clots.